It took just one trip for my husband and I to commit to living in Belize. Specifically the idyllic little village of Placencia. It sits at the tip of a peninsula and we were sold as soon as we began the drive down this 19-mile spit of land. At the start of the peninsula is Maya Beach, an area that looks like Florida way back before development, with thatch roofs, simple wood homes on the beach, palm trees, and hand-painted signs. The water here is vivid blue, the beaches white sand. The palms sway in the breeze. 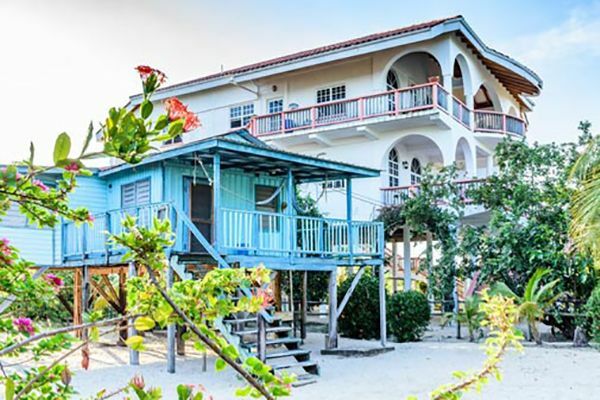 And with the Caribbean to one side of the peninsula and a tranquil lagoon on the other, it offers waterfront property and vistas on both sides. Along with Maya Beach there are only two other small villages on the peninsula. 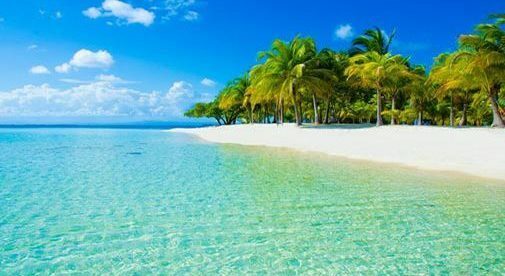 The other two are the Garifuna village of Seine Bight, and Placencia itself, at the southern tip. In Placencia village where I live you’ll see adorable cabanas lining the road, each painted a different color, hand-painted signs, cute beach dogs, friendly locals. You’ll find treehouse coffee houses, and beach bars with names like Barefoot Bar and Tipsy Tuna. There are gelato places, and local tiny wood shacks selling delicious, cheap food made from scratch. Things like fancy cars, shoes, or bags are out of place here. Even owning a car is rare, as you can walk or bike anywhere. You ride your bike to go to the farmers’ market or to see friends. You walk along the beach to dinner in your bare feet…no one notices. Locals, expats, and tourists hang out together, and social life revolves around happy hour, it’s not really a late-night village. It is peaceful, quiet, and livable. You can walk to get all your needs met in the village, but you will find that months go by when you don’t buy any of the “clutter” that seemed important in the U.S. There are so many free, fun activities in nature—year-round! Home to the longest barrier reef on this side of the world, Placencia has some of the best snorkeling, sailing, and fishing anywhere. There are hundreds of islands to explore. Forget that fancy expensive fishing equipment, just tie a hook and weight to the end of a hand line and you will be rewarded with the next dinner entrée. Between the walking, biking, and a healthier diet, many expats say they have lost all weight without even trying. Real estate can be pricey reflecting Placencia’s growing popularity with tourists. (You’ll find mansions here for around $1 million.) But you will also find lots for sale starting in the $100,000 range. There are restrictions on building high-rises in Placencia. A typical week of activities for my husband and I in Belize revolves around the great friends we have made here. We may visit a friend hosting a karaoke night and another night watch a movie on the water. On Sundays, we can watch the NFL games at a tiki bar or take a long bike ride ending at a resort that allows residents to use their fancy pools. Every night there are drink or dinner specials because of the tourism, so it keeps things interesting, energetic, and fun. Many places offer dinner for $10 or less. Chicken, rice, and beans, with coleslaw and a plantain (the national dish) can be found everywhere for about $5. The food is all made from scratch, and is simple, delicious, and healthy. Living here is the opposite of the fast-paced North American lifestyle that you get used to up north. Once you embrace “island time,” you find that a visit home makes you scratch your head and wonder how and why you ever left! Is This Belize’s Next Big Expat Hot Spot? Our Mansion on the Beach Would Cost Three Times More in the U.S.